Operation of the ear - Centre Tomatis de Paris. 90% of the sensory messages that stimulate our brain whose movement and touch involve our ear! The ear thus has the function of being a system of sensory integration. The correction actions of the Tomatis® Method will act simultaneously on the three essential functions of the ear: balance, dynamization and hearing. It depends on the vestibule, part of the inner ear which informs the brain of the least bodily movement. The ear thus intervenes in the postural control and the maintenance of balance. 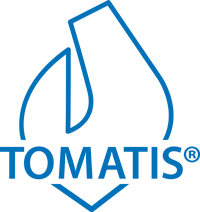 The Tomatis® Method, by its action on the vestibule, allows the body to regain its verticality. Indeed, under the prolonged effect of listening sessions, the coherence of messages sent to the brain by the vestibule of the right ear and the left ear is harmonized. We thus observe motor responses less uncontrolled, more fluid and better organized. The action on psychomotor disorders is therefore obvious. Moreover, the vestibule participates in a fundamental way in the integration of the rhythms both musical and linguistic because of its numerous connections that it maintains with the brain. The human ear provides a “cortical charge” function. It therefore needs to be stimulated to energize the brain and body. Sound is necessary for our personal fulfillment. The more it is rich in high harmonics, the more effective it is. Indeed, sounds rich in high harmonics stimulate a vast nervous network, called “reticular formation”, which controls the level of overall activity of the brain. That’s why we mainly use Mozart’s concertos for violins, the benefits of which are now famous. We also use Gregorian chants whose rhythm so special plays a proved calming role. When it is disturbed, we see not only disturbances of discrimination, spatialization, auditory lateralization but also a loss of the ability to extract a sound message from the surrounding noise. The subject is thus subjected to a multitude of information which he perceives more or less altered. Understanding of messages can only be achieved with great effort, which leads to errors, ever-increasing fatigue, irritability and ultimately closure. The environment is thus experienced as problematic. Under these conditions, it is evident that attention and memorization can only be deficient.